"I shall never comprehend Greeley," declared one of his associates, "for I can never discern the personal considerations 'which sway and govern him." In spite of Greeley's obvious importance and his rich symptomatic significance for nineteenth-century America, biographers have on the whole shirked the difficult job of comprehending the man; his story has long been one of the big gaps in our biographical literature. 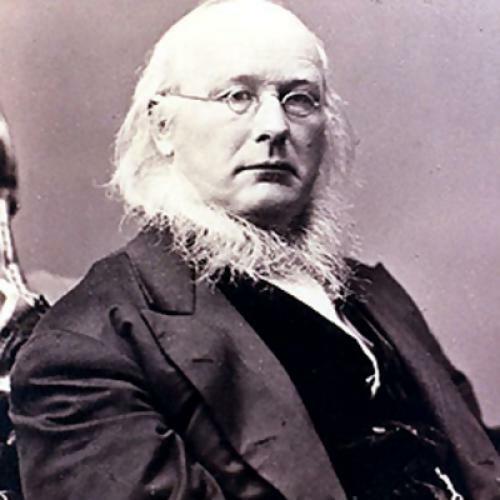 William Harlan Hale's study is not "definitive," as his publishers claim, but it is an excellent full-length portrait, certainly the best since the gossipy job done by James Parton in 1855. Although hardly a great man, Greeley was a great editor, a great crank, and through his weekly edition of the New York Tribune, one of the towering influences on national opinion. This influence was probably exercised because of his irregularities, and it may well be that his most important function in the American psychic economy was to give play to the native love of mavericks and maverick ideas. He became—quite self-consciously, one imagines—a salesman of his own eccentricity, an entertainer in journalism, as Hale aptly remarks, who combined the functions of the moralist an-d the showman. He began like hundreds of ambitious boys who came to the cities from nineteenth-century farms, went to work as printers, and established themselves as editors on the foundation of modest amounts of self-acquired educational and financial capital. For all that Greeley was regularly associated in practical politics with the parties of privilege, he was a man of personal generosity, broad human sympathies and an experimental Utopian turn of mind. While working for the Whig Party, he flirted with Fourierism. He was also anti-slavery and pro-temperance. He believed in vegetarianism, and when he was at home lived with his incredible wife on vegetables, Graham bread and unseasoned puddings. One shudders to think of what he might have done in the world had he been a meat-eater— but then he would not have been Greeley, for it was the essence of him to be a herbivorous creature in a carnivorous world. In politics Greeley began as a mercenary and ended as a martyr. His early survival as a journalistic promoter was dependent upon his services to the Whig machine of Thurlow Weed and William H. Seward in their battle with Jacksonian democracy. But the Tribune's success made him a national oracle; he grew independent, broke with Weed and Seward, and in I860 got revenge for their cavalier treatment of him by contributing to Lincoln's victory over Seward at the Republican convention. Constitutionally unstable, he remained something of a thorn in Lincoln's side as he threw his support alternately to contradictory policies, exercising his bad political judgment in full national view much as a famous athlete flexes his muscles for the crowd. What was most touching about Greeley was the contrast between the important public figure and the helpless and innocent private man. To the incredulous amazement of serious observers of politics, he captured the Presidential nomination at the insurgent Liberal Republican convention of 1872, which by default made him Grant's opponent in the national election. As an editor he had survived both his advanced principles and his ingratiating inconsistencies, but in the arena of practical politics he was bound to be handled roughly by the professionals, who soon made him wonder whether he was "running for the Presidency or the penitentiary." His wife, whose mental illness had always deprived him of domestic repose, died during the campaign and Greeley's own tenuous balance was overthrown by the combination of death and defeat. "My life," he once said, 'has been a fevered march," It flickered out, at the end, in a pathetic flurry of melancholic self-denunciation.